Casa Del Sol is located on the ocean in Grassy Key, a quiet island just a tad north of Marathon, in the heart of the beautiful Florida Keys. The upscale beach resort hotel is 50 miles north of Key West and 50 miles south of Key Largo and just a 90 minute drive from Miami International Airport. Guests of Casa Del Sol enjoy the seclusion of a tropical island but are only minutes away from some of the best dining, shopping, attractions, and outdoor activities. Nestled on 400 feet of ocean front property, Casa Del Sol overlooks the beautiful aqua waters only found in the Keys, and is surrounded by lush, tropical landscaping boasting towering coconut palms, colorful tropical flowers, and a pristine white sandy beach. Casa Del Sol offers its guests the ultimate in carefree comforts, services, and first class resort luxuryâ€¦â€¦..beautiful tropical breezes, peace, tranquility, and warming sunshine are all inclusive. If you are yearning for a chance to experience breathtaking sunrises, magnificent views, excellence in service and hospitality, a beautiful, serene, and memorable vacation experience, then Casa Del Sol should undoubtedly be your vacation home in the sun. 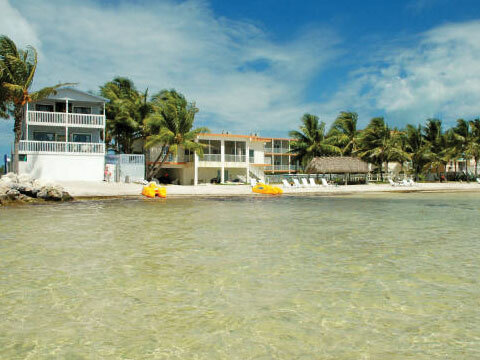 Casa Del Sol is located on the ocean in Grassy Key, a quiet island just a tad north of Marathon, in the heart of the beautiful Florida Keys. The upscale beach resort hotel is 50 miles north of Key West and 50 miles south of Key Largo and just a 90 minute drive from Miami International Airport. Guests of Casa Del Sol enjoy the seclusion of a tropical island but are only minutes away from some of the best dining, shopping, attractions, and outdoor activities. Nestled on 400 feet of ocean front property, Casa Del Sol overlooks the beautiful aqua waters only found in the Keys, and is surrounded by lush, tropical landscaping boasting towering coconut palms, colorful tropical flowers, and a pristine white sandy beach. Casa Del Sol offers its guests the ultimate in carefree comforts, services, and first class resort luxuryâ€¦â€¦..beautiful tropical breezes, peace, tranquility, and warming sunshine are all inclusive. If you are yearning for a chance to experience breathtaking sunrises, magnificent views, excellence in service and hospitality, a beautiful, serene, and memorable vacation experience, then Casa Del Sol should undoubtedly be your vacation home in the sun. Each of the luxurious suites overlook the beautiful azure waters of the Atlantic Ocean. All of the guest suites provide you with the ultimate in comfort, luxury, design and views. Our beautifully appointed suites feature a fully equipped designer gourmet kitchen graced with cherry wood cabinetry, granite counter tops, and high end stainless steel appliances. Each suite offers a washer and dryer, dishwasher, large screen televisions, wireless high-speed internet access (unlimited use for a nominal fee), and two private enclosed balconies that provide excellent water views. The spacious living area affords you an opportunity to kick back and relax in the comfortable sofas and chairs. View your favorite television show or watch your favorite DVD on the large screen television or listen to your favorite melodies on the CD player. Each suite abounds with vibrant colored art work carefully chosen to compliment every room. The master bedrooms offer king or queen size beds and gorgeous cherry wood furnishings, French doors to a private enclosed balcony, luxurious bed linens, televisions, and beautiful decorative artwork. Guest bedrooms are beautifully furnished with one queen, or two double size beds, accented with luxurious linens, gorgeous cherry wood furnishings, and televisions. Each suite has the minimum of one full bath and one half bathroom, the full bathroom offers a Jacuzzi tub to relax in luxury. Luxurious resort amenities and hair dryers are provided for in every bathroom. Attention to detail, furnishings, and comfort are all part of your vacation experience offered by Casa Del Sol Beach Resort, your vacation home in paradise, your vacation home in the sun.